We are a weak and vulnerable people, but we can walk a little, every once in awhile. Atlanta is not kind to pedestrians, in general, and yet there are some wonderfully walkable places here. Hark sidewalks and crosswalks, bike-ped advocates and young urban planners, we salute you! A recent exhibit at Georgia State University’s Welch School Gallery (partly reviewed at ArtsAtl.com) on Peachtree Center Avenue. The GSU area is very walkable and bejeweled with all sorts of coffee, waffle, and burrito joints. Seen near the corner of Edgewood and Boulevard, less than a mile from GSU’s Welch School Gallery. Very walkably east of GSU is the Martin Luther King Memorial and Auburn Avenue historic area. For refreshment, consider a game of checkers or billiards with beer. A set of fine follies near that same intersection of Edgewood and Boulevard. Martin Luther King’s Memorial and the street car line are a block away. 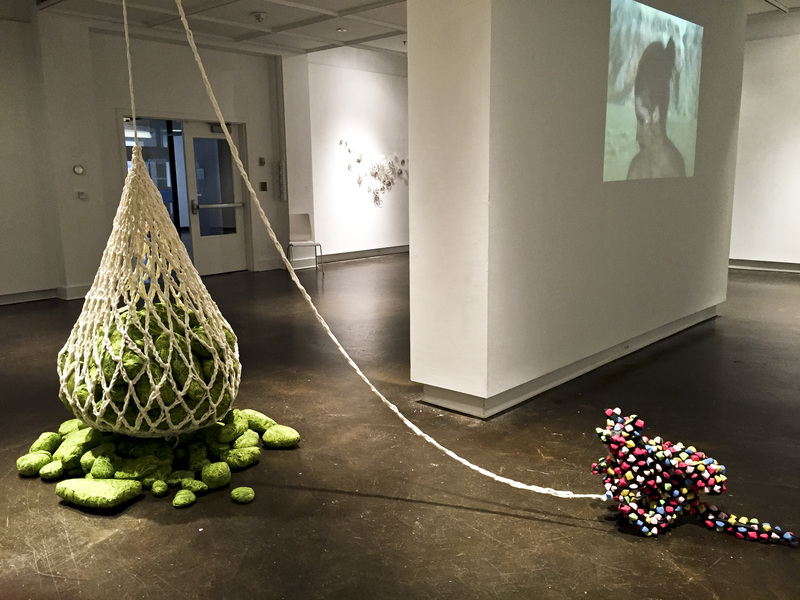 A recent visit to Greenville, SC, reminded us that the folks who love art and love to make it their business, also love to walk around, to be on foot, to check out the scene from a more human point of view than the automobile provides. The up and coming Pendleton art district is bound to boom. 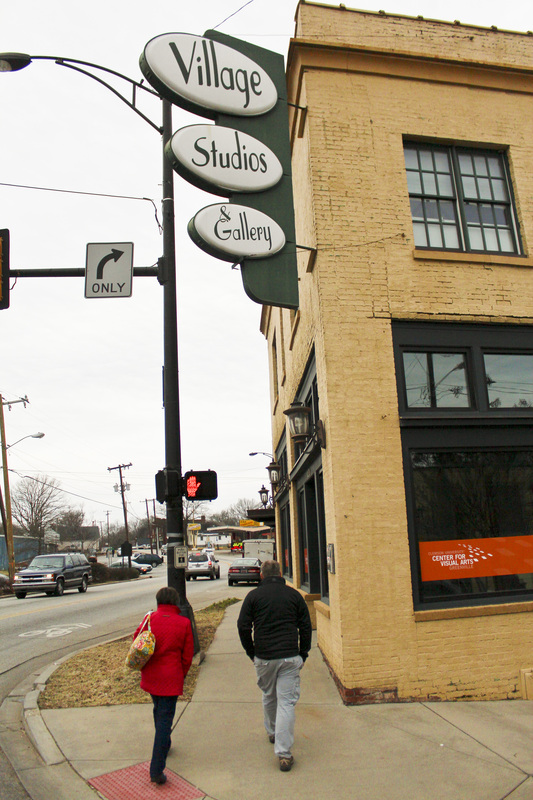 In the Pendleton art district of west Greenville, SC, Clemson University hosts a studio outpost. 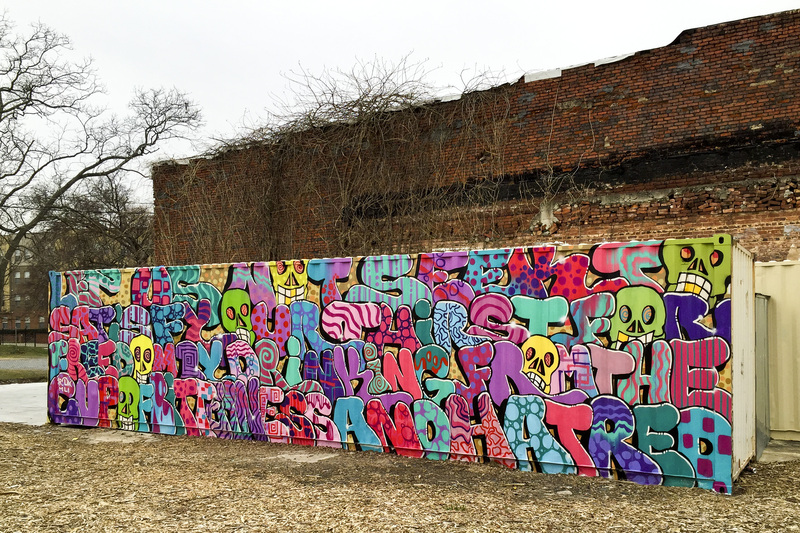 This entry was posted in Art in Atlanta and tagged Georgia State University, Murals, street art, Walkability, Welch School of Art and Design on March 7, 2015 by Bryan Alexander.